Sarah (Violin), Silas (Piano, Drums), Jen (Guitars) and Terry (Mandolin) formed the band in Melbourne Australia in 2014 as a way to explore their musical roots and bring their favourite spicy instrumental music and classic continental standards into the modern age. 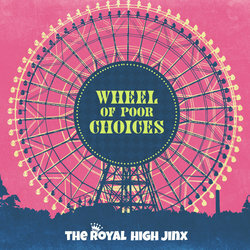 Their most recent album "Wheel of Poor Choices" was released in Mid March 2017. It features their most popular tunes from their live shows, and captures their enthusiasm, craft and cheekiness.